I'm not much of an arts and crafts person, and whenever I come across pretty little handmade things, I am always left in awe. Especially when they're made out of unconventional and eco-friendly materials. Case in point, Chimera Online. What began as a simple hobby for childhood friends Kaye and Keyt has now become a booming business for these innovative entrepreneurs. From clothes, to accessories, and now venturing into shoes, Chimera carries a wide array of products that are eye-candy and easy on the pocket. 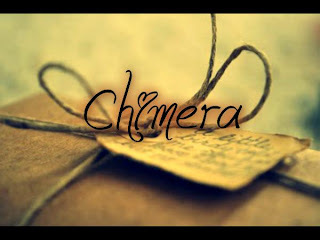 But there's more to Chimera than just being hip and trendy. Their merchandise, are in fact made from old clothes, vintage accessories, and even materials that some might consider as junk. By revamping and restyling old clothes, upcycling and modifying vintage accessories with a modern twist, and using locally-sourced man-made materials, Chimera proves to be a staunch advocate of green living and eco-friendliness. For instance, old and unwanted pairs of denims showcased in the Braided and Jeans Collection. Tattered and torn denims (and perhaps no longer fit) are transformed into something as pretty as these. A headband, a foreband, a bracelet... these braided jeans are actually quite versatile. You can wear them how you want it, any way you want it. Then there's the Alambre Art Collection - fashion accessories made from the humble tie-wire. And so they say one man's junk is another man's treasure! These tie-wires can also be found in other Chimera accessories, such as these dainty rings. Aside from these, Chimera also produces clothes, bags, and shoes. They carry a bunch of other cute and quirky stuff too, such as Korean stamp sets, cable winders, and even the Magic Egg. All these and more are found in Chimera's Facebook page and Multiply site. Chimera sounds familiar. They go way back from Multiply. I love the Alambre earrings, waiting for your giveaway to start sis. Thanks for showing us your pretty blues. Please come and see my BLUE, thanks! Love stores like that. They're like a mom and pop shop online. I'm a big supporter of small business, so I'm definitely going to take a look at Chimera. My wife would probably love some of these funky items they offer. Thanks! Czjai! I love this... how is it that you always find all these cool things ;) Blessings to you and yours. How cool! I always love to see how people take ordinary things and make something totally new and creative with them! :) Great post! Nice! I really like their unique ideas especially the wire twists. Thanks for sharing this. I love when people re-purpose stuff into something lovely. nice creative accessories. :D but not for me though. am not sure much into these. It's so refreshing to see shops that think outside the box. Happy Tuesday! nice piece of accessories .those wire looks elegant. Ang simple pero cool ang design... Love the earings and thanks for sharing.